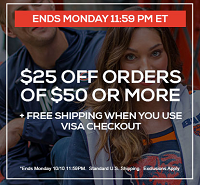 The popular Visa Checkout / Fandango deal is back. Through August 27, 2017, when you buy 2 or more movie tickets on Fandango using Visa Checkout, you’ll get one movie ticket in your order for free. 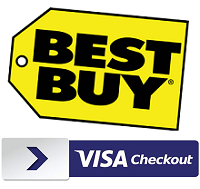 Use promo code DEALSTHATCLICK7 at checkout before completing your purchase with Visa Checkout and the second-highest priced movie ticket purchased and one convenience fee will be deducted (up to $25 total value) from the purchase price. Limit one promo code redemption per person, while supplies last. Want to save a few bucks on your next trip to the movie theater? 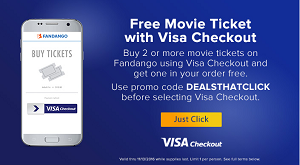 Through April 1, 2017, when you buy 2 or more movie tickets on Fandango using Visa Checkout, you can get one movie ticket in your order for free. 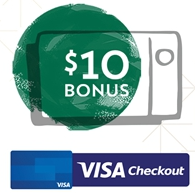 To take advantage of this promotion, enter promo code DEALSTHATCLICK4 at checkout before completing your purchase with Visa Checkout and the second-highest priced movie ticket purchased and one convenience fee will be deducted (up to $25 total value). Limit one promo code redemption per person.